Tom Davies cuts a distinctive figure on the pitch and he does not conform to footballing stereotypes off it. 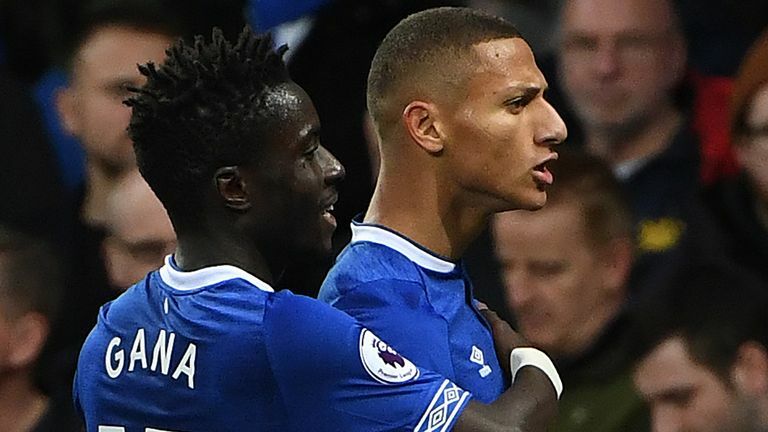 The Everton academy product talks to Sky Sports about his interests outside of football - and how Marco Silva can take him to another level. Tom Davies is attending a photo shoot for the launch of adidas's new COPA boots at the home of non-league side Bootle FC in Liverpool. For many players, it would be another sponsorship commitment much like any other. For Davies, though, it is an opportunity to combine two of his passions away from football. "Fashion is something I've always been into," the 20-year-old Everton midfielder tells Sky Sports. "The new boots are so nice, and enjoying fashion as I do, I always enjoy shoots like today, just seeing how it all works behind the scenes. I wouldn't say I'm out there with the clothes I wear, but I like finding new stuff. Me and my brother are kind of into that." Happily, Davies is just as enthused by photography as he is by fashion. "I do like my photography," he says. "A friend of mine is big into it and my brother likes it as well. I haven't taken any classes or anything but I've got another friend who has shown me how to use a basic film camera. "I think it's important to take your mind off football. It's all good when you are relaxing and getting your rest, but it's intense when you're training in the day and everything. If I'm in from nine until two or three in the afternoon, I will be constantly thinking about football, how I need to get better, what I need to do when I'm training, what I need to eat. "So I think it's good when you do go home, not to completely switch off from it, but to try and do something that takes you away from it. Something that you can concentrate on separately. That could just be watching telly or reading a book, but I've got a few different things that I'm into." In the summer, he chronicled his time off with a series of tasteful shots on Instagram. There was a trip to Bali and another to Copenhagen to see the Arctic Monkeys - "their new album is really good" - but Davies is just as happy when he's back home with his friends and family in Liverpool. "You could say I'm not a typical footballer, yeah, but I just see it as being myself. I just do what I like to do. I wouldn't know the opposite, but I just grew up the same as a kid as I am now. Generally still going home to see my mum, going into town, into Liverpool, and just doing the things I've always done. It's always nice to meet fans and speak to them. I enjoy that so it's all good." It's all good at Everton, too. Last season was a difficult one for everyone at the club as Ronald Koeman and Sam Allardyce came and went in stormy circumstances, but the outlook has changed completely since Marco Silva's appointment in the summer. Ahead of Sunday's meeting with Chelsea, Everton sit two points off the top six having won four of their last five Premier League games. With his shaggy blond hair and his socks pushed down to his ankles, Davies, an Everton player since the age of 11, has already amassed 78 senior appearances since his breakthrough two years ago. Silva has been particularly helpful. "He has been really good for me. Last year I was a bit unstable really, just having a lot of changes and stuff, but he came in and basically said there was no need to worry and that it's alright for me to play my game. He wanted to get to know all the players in pre-season and he has obviously got us playing how he wants us to play. He's given me consistency and provided me with advice." There is fierce competition for places in the Everton squad now, not least in central midfield, where Andre Gomes has arrived from Barcelona, but Silva showed just how highly he regards Davies when he handed him the captain's armband for an EFL Cup game with Rotherham and subsequent Premier League meetings with Arsenal, Fulham and Leicester. "It was so good, I was buzzing really," he says. "I was with a few of the lads in the build-up to the cup game. A lot of the senior lads weren't playing and it was one of them where we were wondering who could be captain. I think it was Jonjoe [Kenny] who said it was probably going to be me. "I couldn't believe it. I ended up getting into the changing room, doing my usual stuff and the assistant came over and told me I was going to be captain for the day, so the referees needed to see me for a meeting before the game. It just took me back. I didn't really know what to say. "I've obviously been here so long, coming through the academy, so it was just an unbelievable feeling to captain the side. Walking out onto Goodison, at the front as we came out the tunnel… There are no words to describe it, really. It was a huge show of faith, I'm grateful for all the manager has done for me so far. I'm just hoping I can continue to progress under him and repay him." It was a dream come true for Davies to wear the armband, and his next ambition is to lift a trophy with his boyhood club. "I've always wanted to win something with Everton," he says. "I think it's getting to a stage now where we are getting a good team together and we can start pushing for things, definitely in the cups. That's a goal I have. That's my main thing at the minute." In the Premier League, meanwhile, the competition is as fierce at the top as it is in Everton's midfield, so how high is Davies aiming? Can Everton crack the top six? "I don't see why not," he says. "We've got a good enough side. We're starting to look like a good team now and I think we just need to get up as high as we can, whether that be top six or even higher. We've got a good group, there's a lot of us who are with the England U21s and the foreign lads are always happy and smiling as well. I'm happy to be a part of it." An important part of it, too. On the pitch and off it, it feels like Tom Davies is moving in the right direction.